UPDATED: SEP 29, 2012 It’s amazing how just a tweak in a recipe can have such an effect on the taste of a beer. 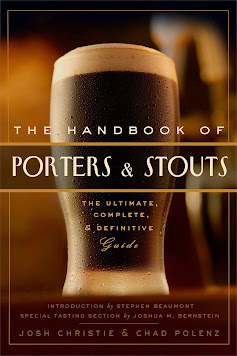 I love brown ales and stouts, but I’ve just never been able to appreciate the porter style. I was hoping JW Dundee’s Porter would bring me around, but even this brewery’s reputation for quality couldn’t. Porters are basically stouts with a much thinner, lighter body so it’s no surprise JW Dundee’s Porter pours to a flat black color (actually, extremely dark maroon) with a thin, caramel-colored head. The head does not last very last and has no significant taste or other notable features. There is no carbonation action present and the beer is reminiscent of old, flat soda. Additionally, this beer is almost odorless with only a faint trace of deep-roasted and smoky malts. There’s a fine line between truly good roasted malts and the niche taste of porters and scotch ales. Unfortunately, JW Dundee’s Porter falls on the wrong side of this taste spectrum. Its initial flavor reminds me of cough syrup in that it’s very bitter and leaves a strong aftertaste. There’s a hint of a smoky flavor to the palette, although I’ve tasted much smokier (i.e. Sam Adam’s Scotch Ale). Usually I gravitate towards dark beers since they have more flavor, but even this porter is fairly bland. The taste it does have it off-putting and is very reminiscent of any kind of “bock” beer. I’d like to think I’m a connoisseur of beers, but even I couldn’t appreciate the taste here. Beers with off-putting tastes usually don’t finish very well, but the opposite is true of JW Dundee’s Porter. It is extremely smooth, much like a black lager or a brown ale. There is not bite, most likely due to the fact it has so little carbonation. Porters look a lot heavier in body than they actually are. Obviously, it’s heavier than any generic lager or even the lighter ales, but isn’t quite as weighty as you might expect. Since it’s not very pleasant to drink altogether, the issue of its weight is irrelevant. I know there are beer snobs out there than can appreciate porters, but as much as I’d like to think I’m one of them, I just cannot figure out the appeal of a beer that tastes like cough syrup.